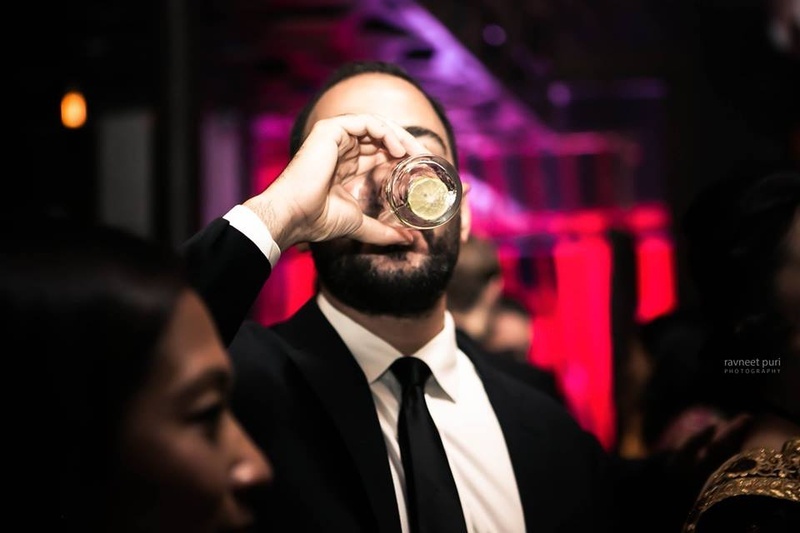 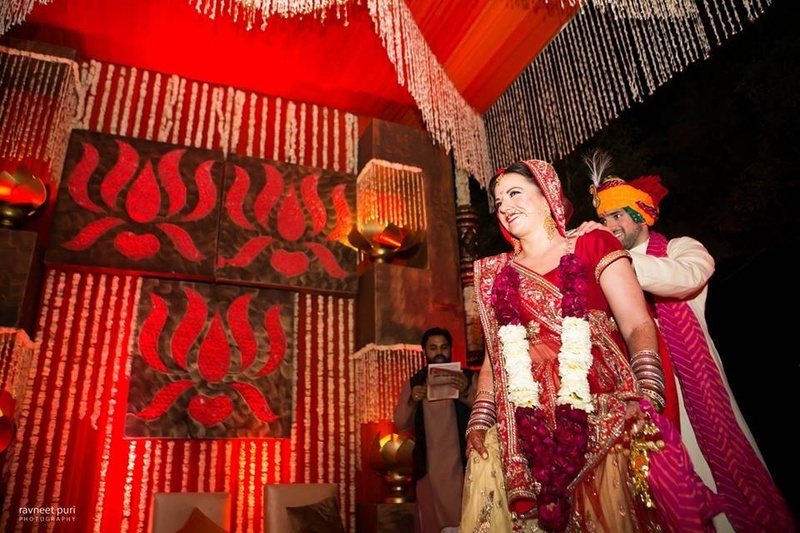 Alison and Paul's cross-cultural wedding stunned us all with all the beautiful wedding moments. 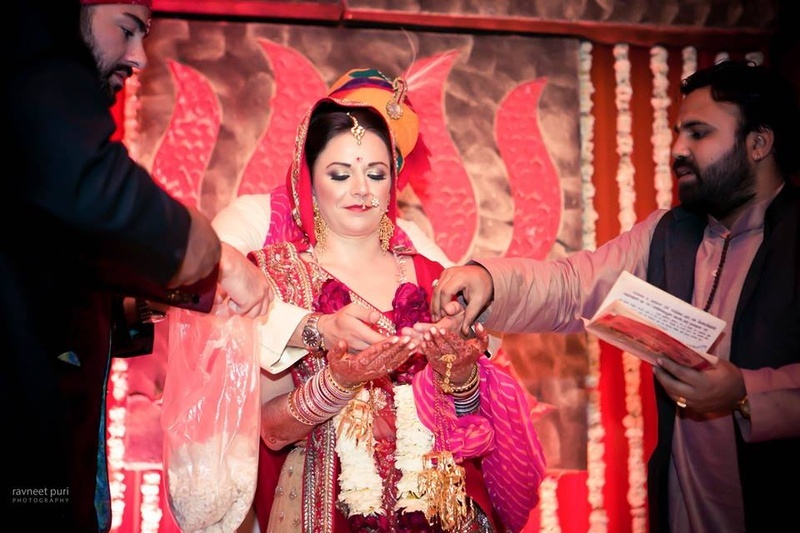 Alison and Paul's cross-cultural wedding at Grand Vasant Kunj, Delhi, stunned us all with all the beautiful wedding moments. 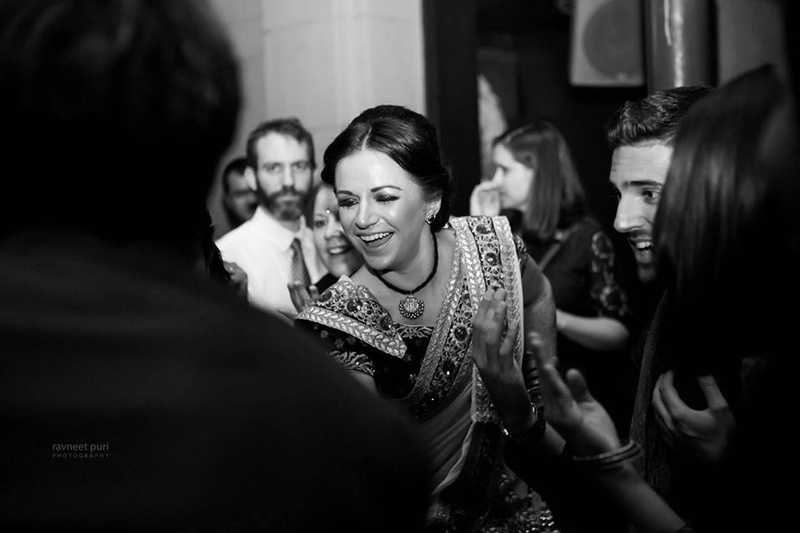 It's amazing how in-sync the two lovebirds from different cultures were. 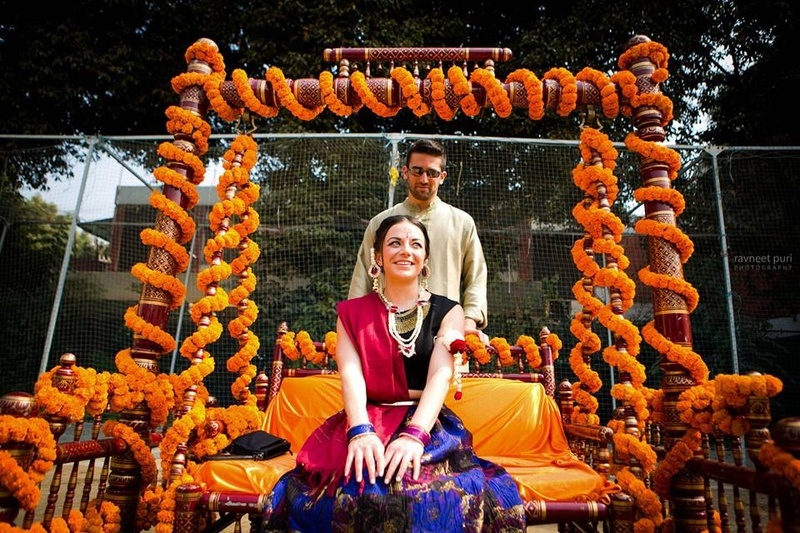 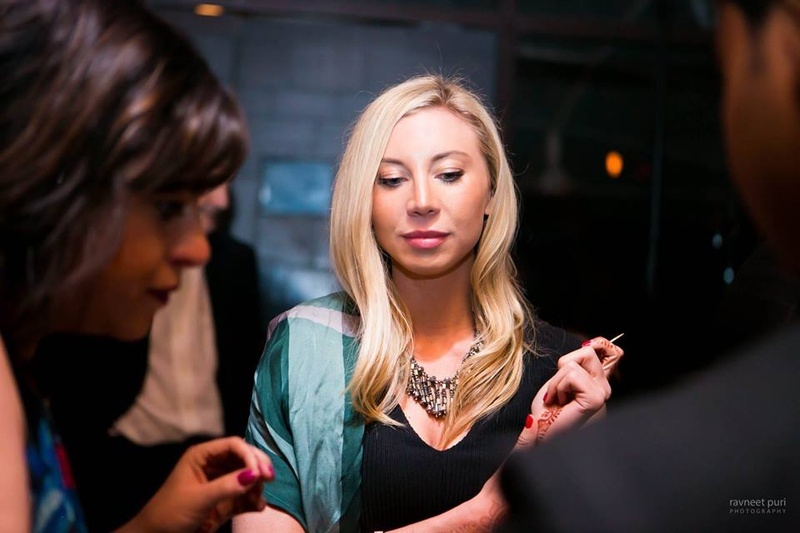 We loved how Alison carried off all the Indian wear effortlessly. 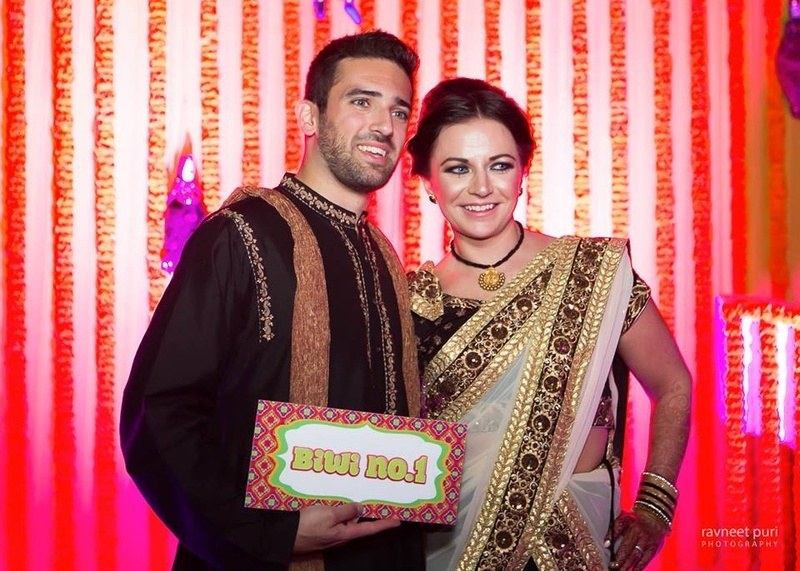 Look out for her trendy indo-western mehndi outfit, the quirky 'Biwi no.1' signboard and her striking blue eyes! 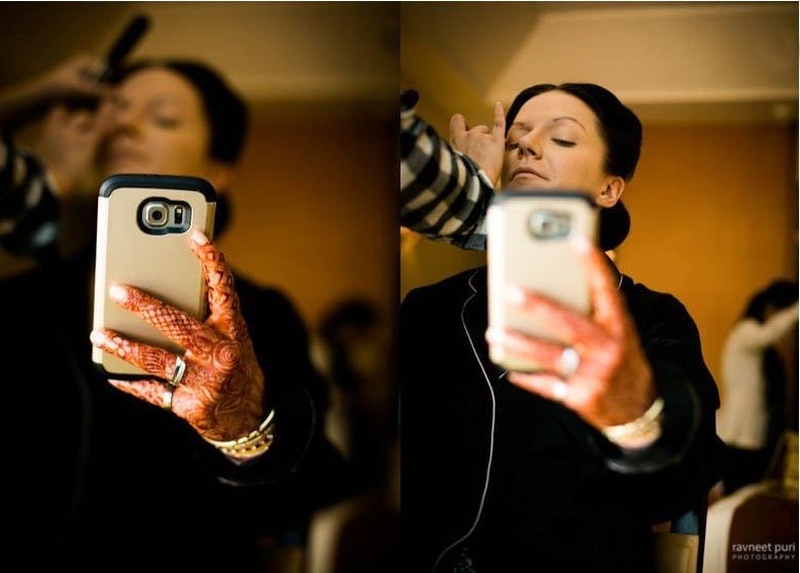 Wearing minimal makeup for the mehendi ceremony. 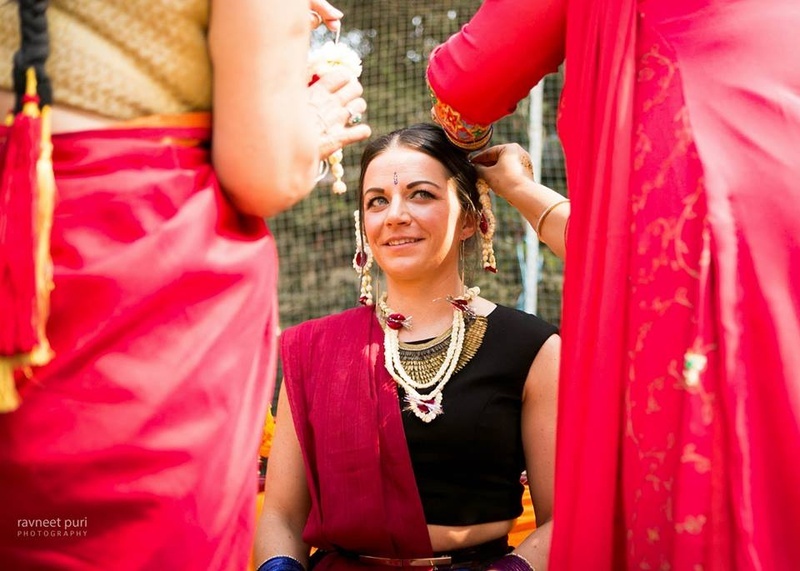 Alison adorned in white floral jewellery for her Indian style mehendi ceremony. 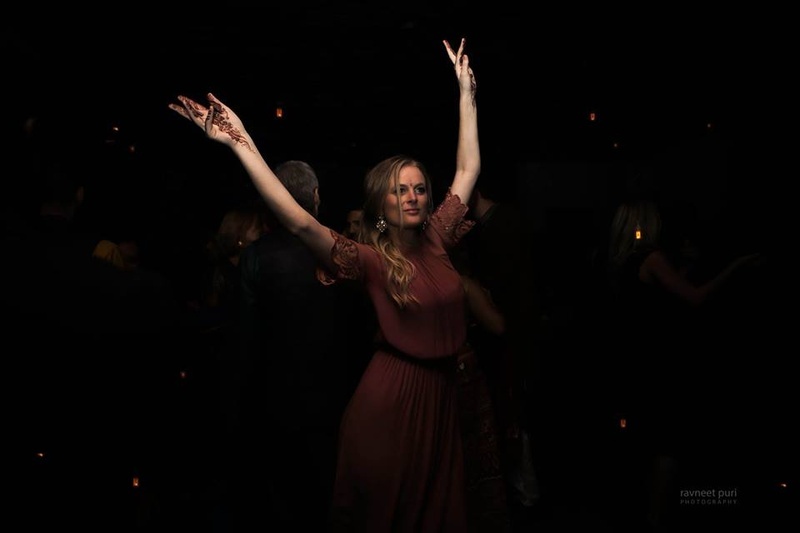 Alison dressed up in a basic royal blue skirt paired with black crop top and maroon dupatta for the mehendi ceremony. 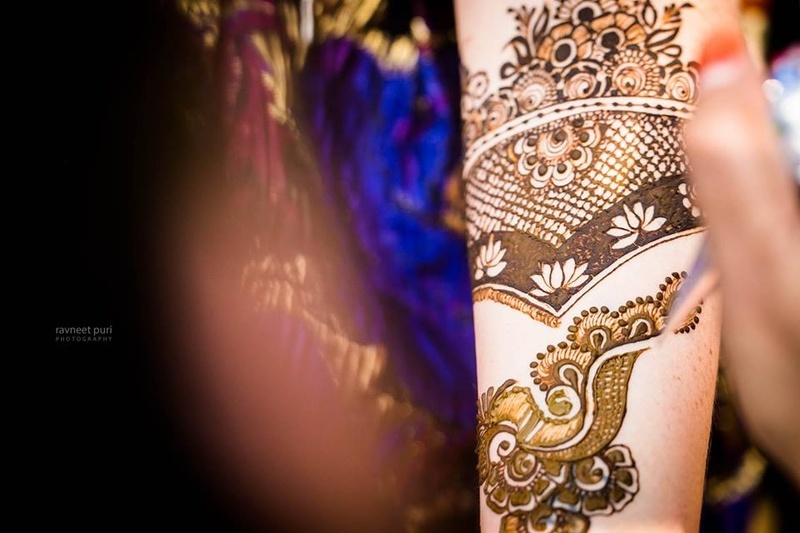 Hands filled with intricate mehendi designs. 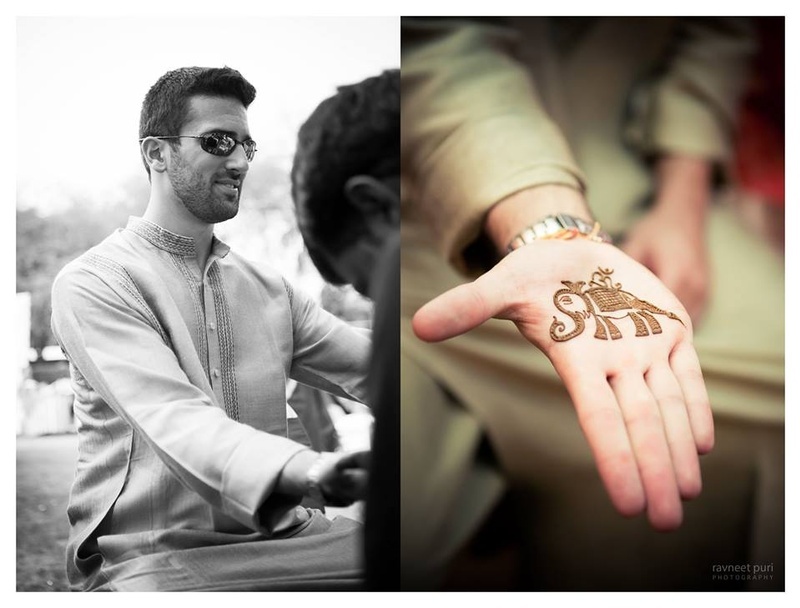 Hands filled with beautiful bridal mehendi designs. 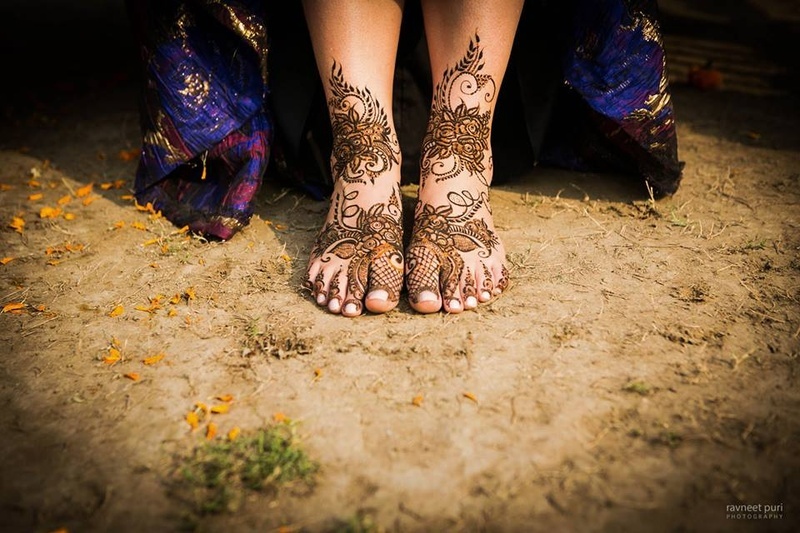 Feet filled with floral patter mehendi design. 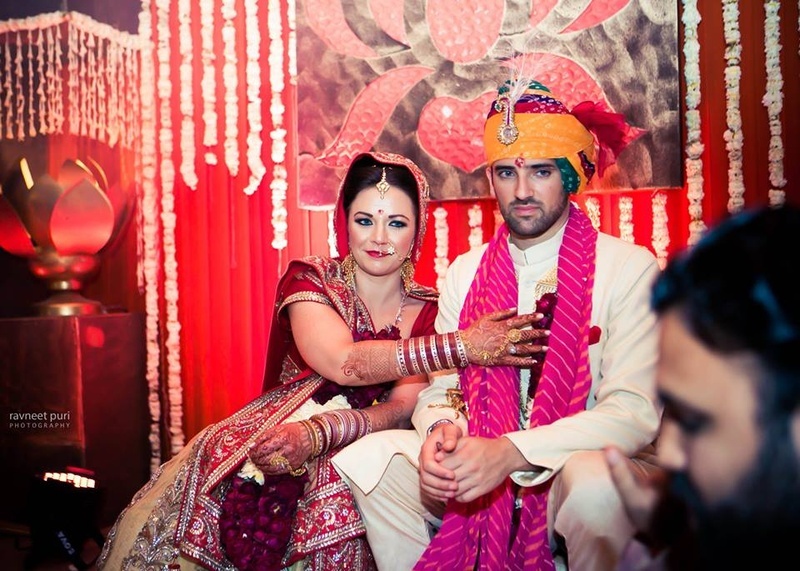 Paul dressed up in basic khadi color kurta for the mehendi ceremony. 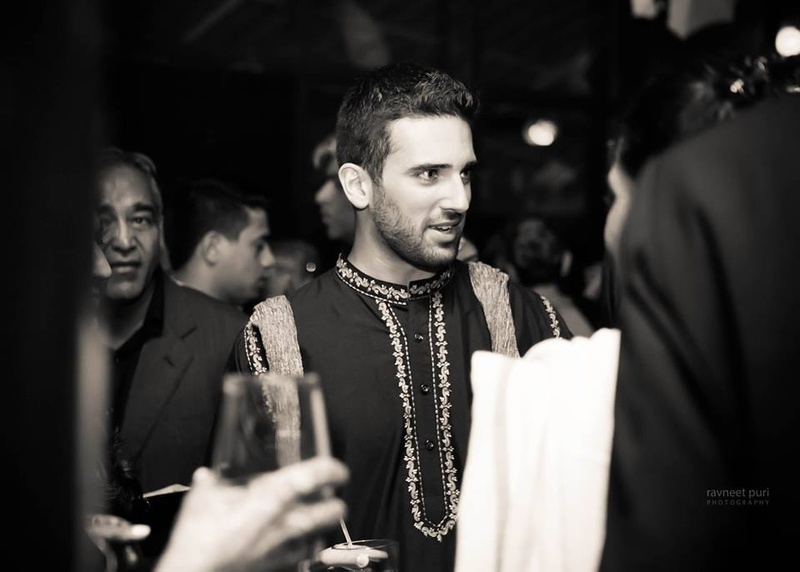 Paul dressed up in a black kurta with embroidered yolk styled with tissue dupatta for the sangeet ceremony. 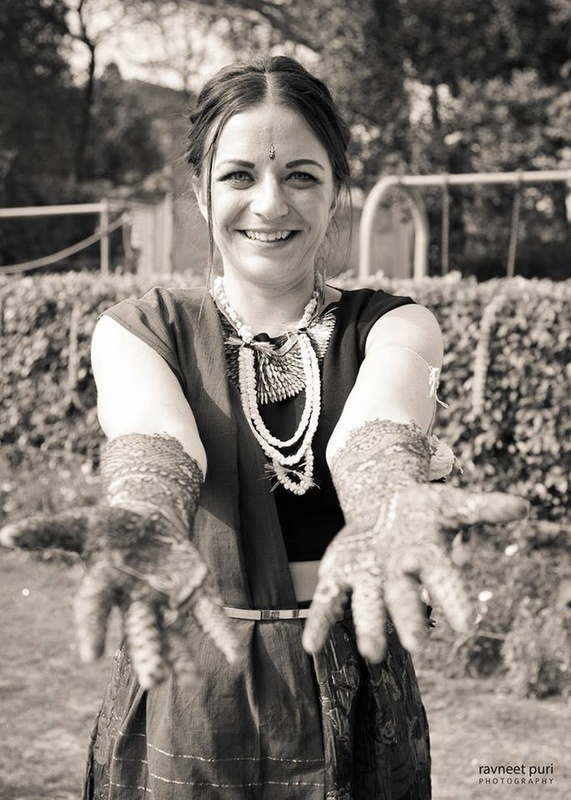 Alison dressed in a saree for her sangeet ceremony. 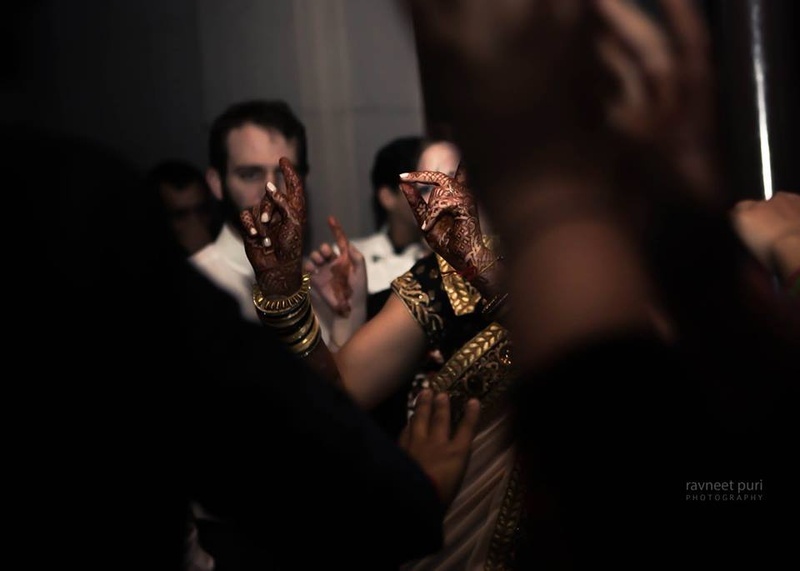 Bridal hands filled with rich colored mehendi ! 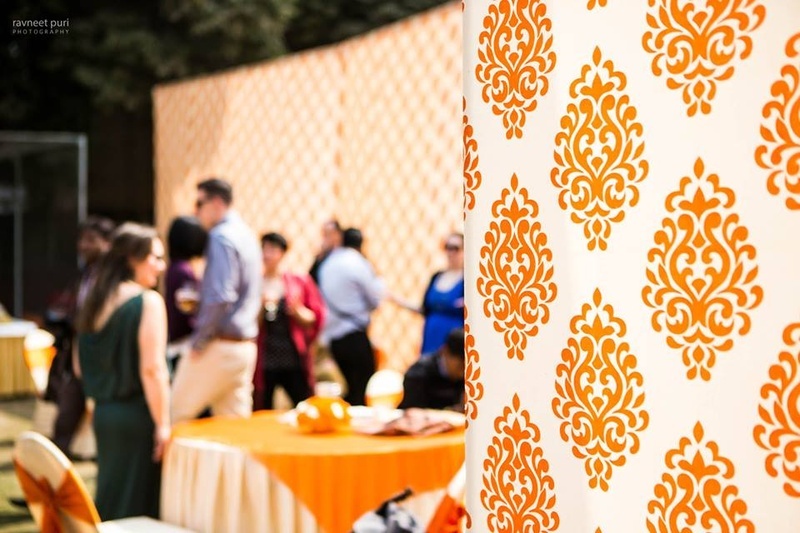 Complementing each other with these color coordinated outfits for their sangeet ceremony. 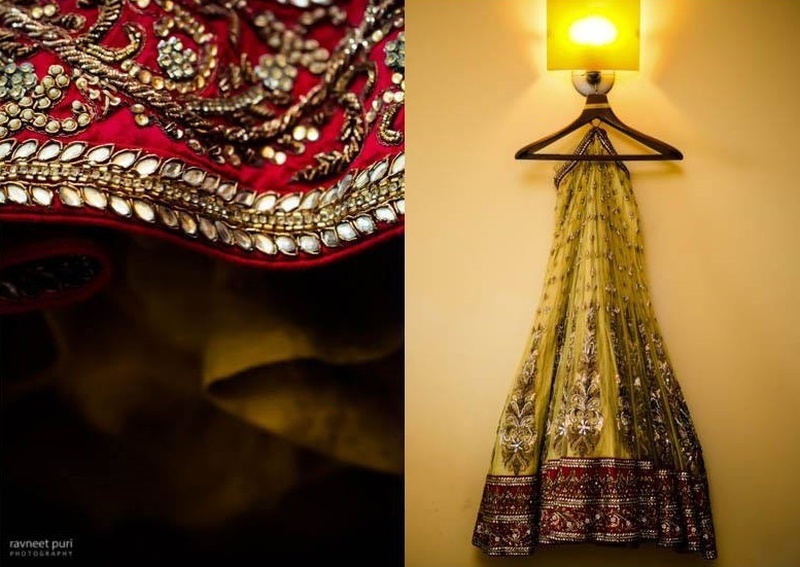 Bridal wedding lehenga by Frontier Raas, Delhi. 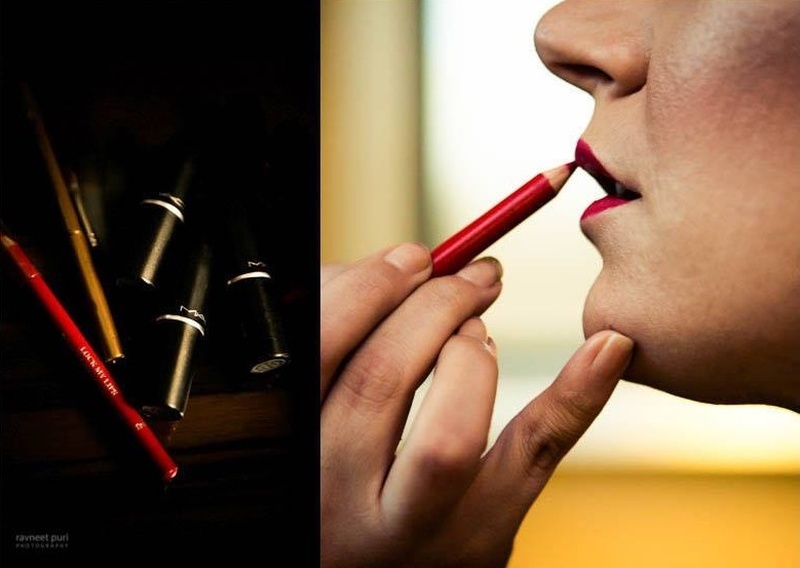 Bridal wear photography by Ravneet Puri ! 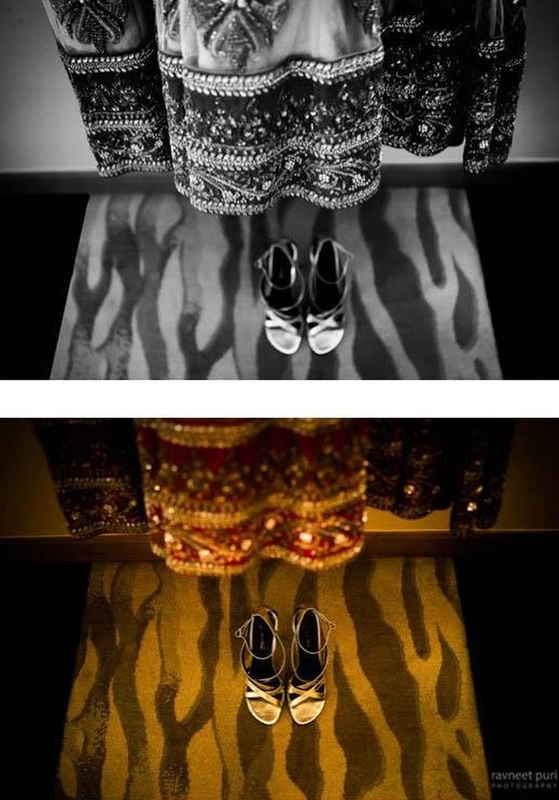 Bridal shoes photography by Ravneet Puri. 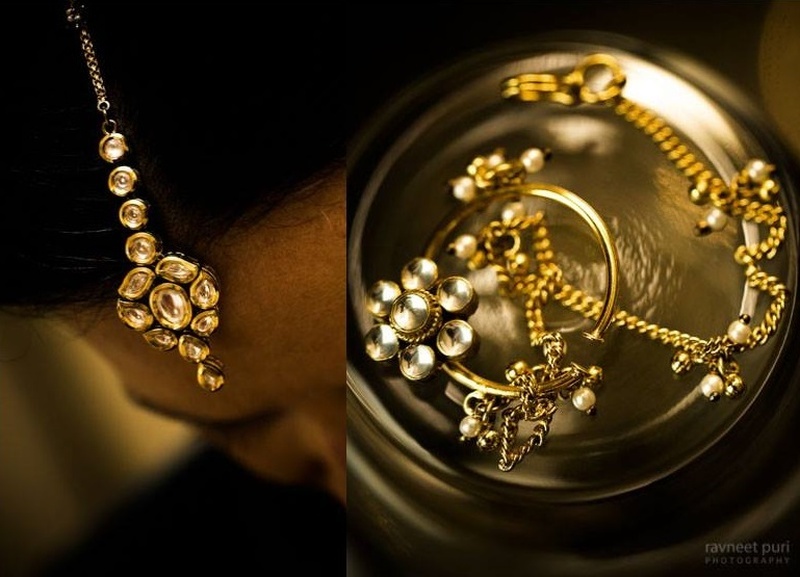 Bridal jewellery photography by Ravneet Puri. 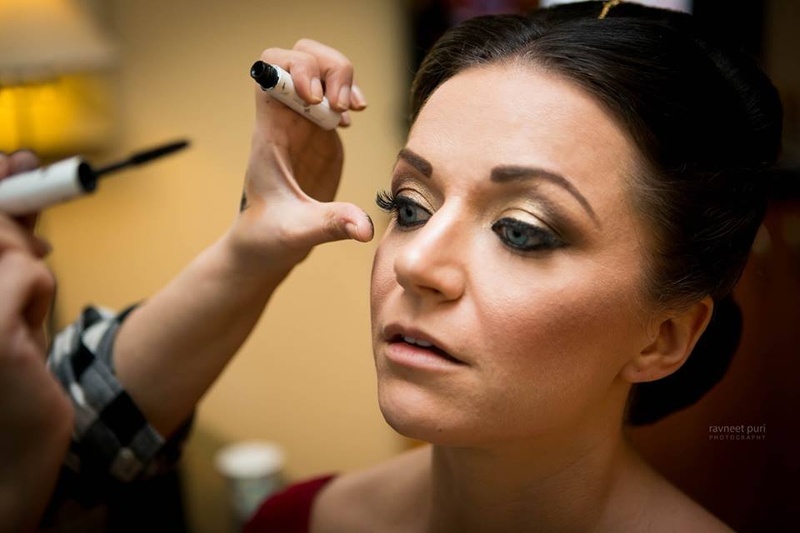 Bridal makeup by Makeup Addict by Jazz (Jazz Wahan). 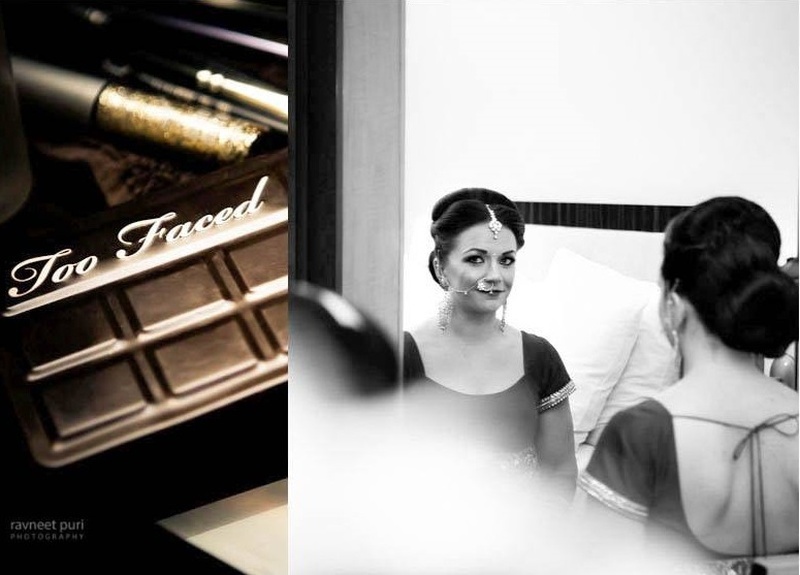 Bridal makeup moments captured brilliantly by Ravneet Puri. 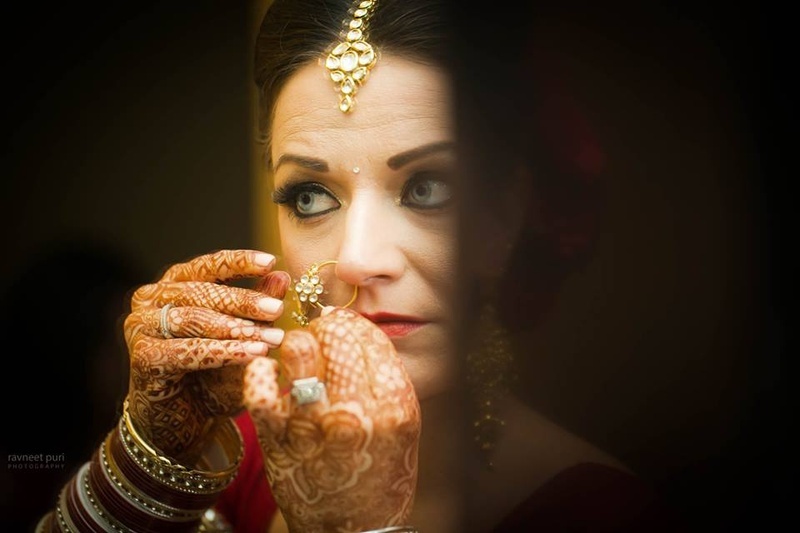 Bridal nath photography by Ravneet Puri. 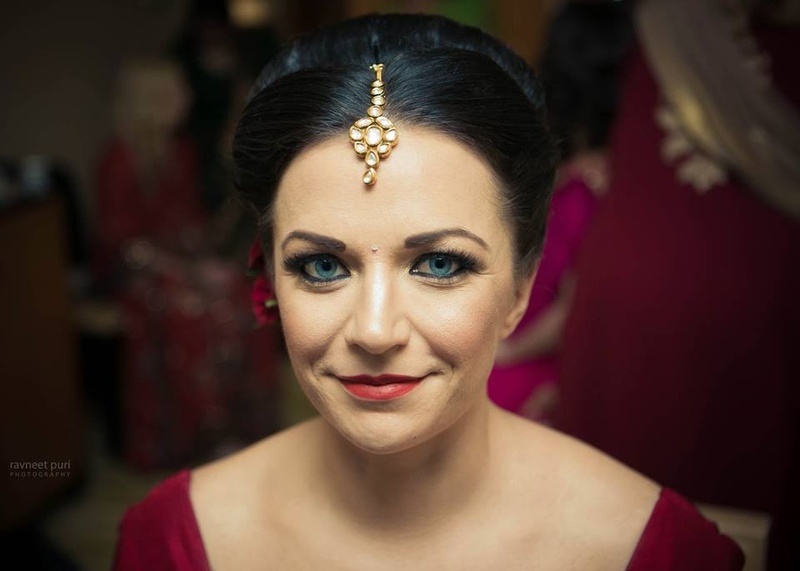 Alison adorned in beautiful kundan maang tikka, nath and kundar earrings for the wedding ceremony. 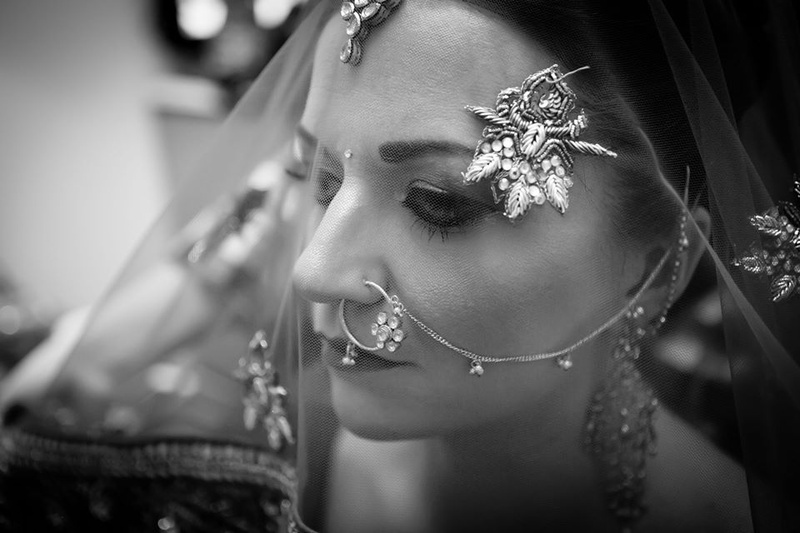 Black and white bridal shot by Ravneet Puri. 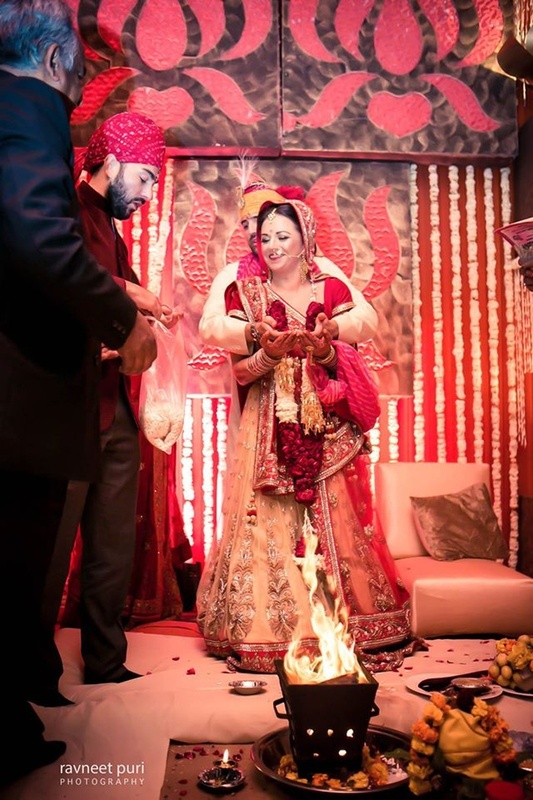 Wedding ceremony held at The Grand, New Delhi. 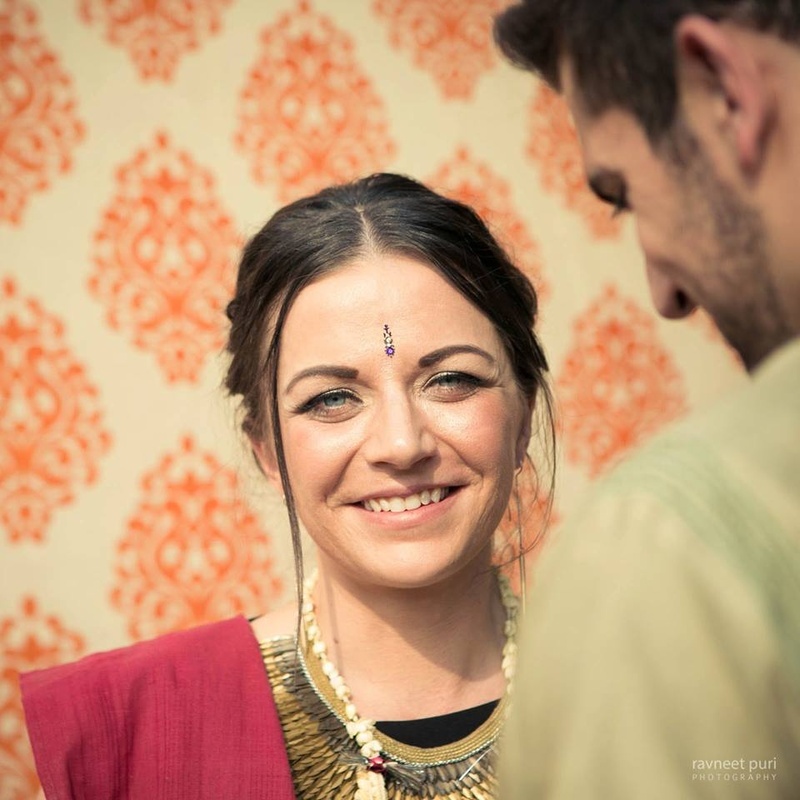 Alison and Paul looking extremely happy and excited for their phera ceremony. 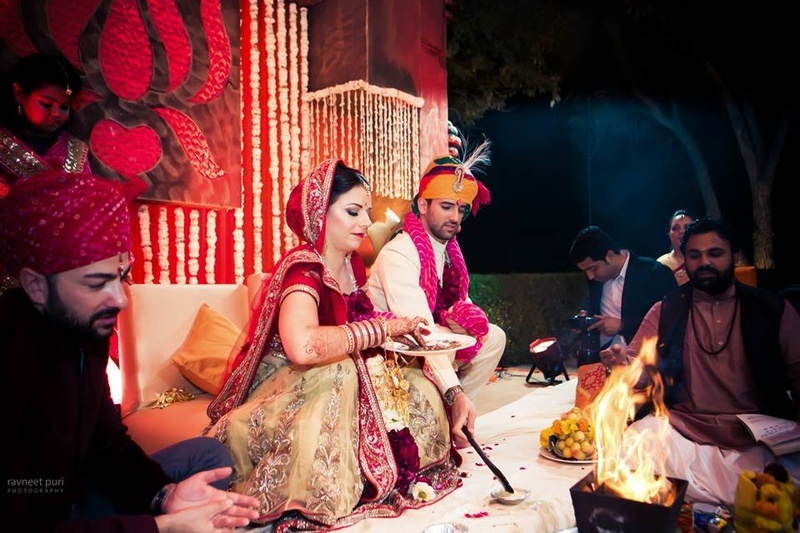 Wedding couple photography by Ravneet Puri.